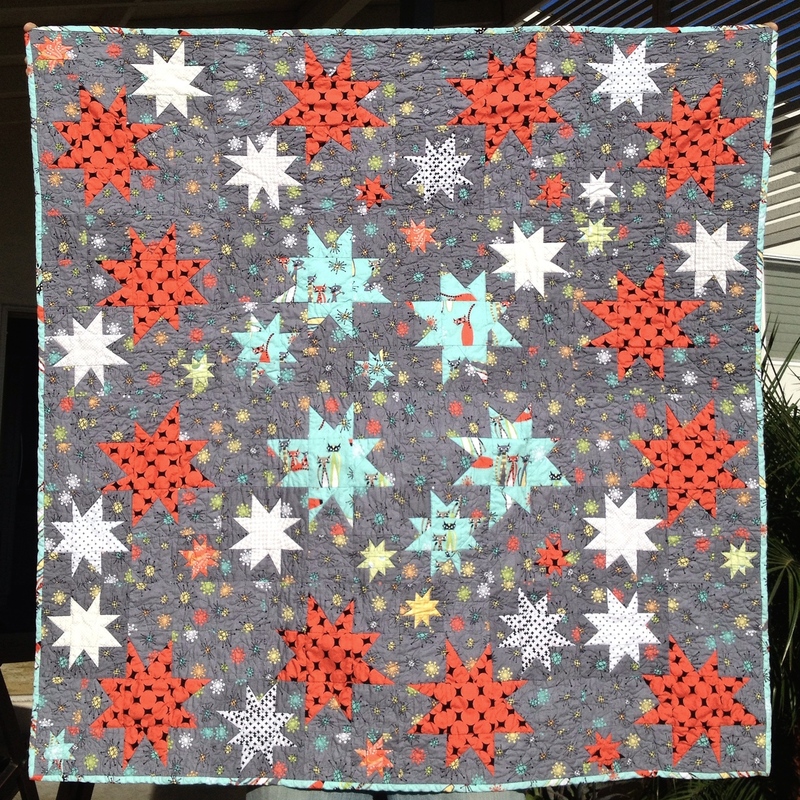 I used some of the fabric I owned and used the challenge fabric for the medium stars. The block comes from Angela Pingel‘s contribution to the Modern Blocks Book. 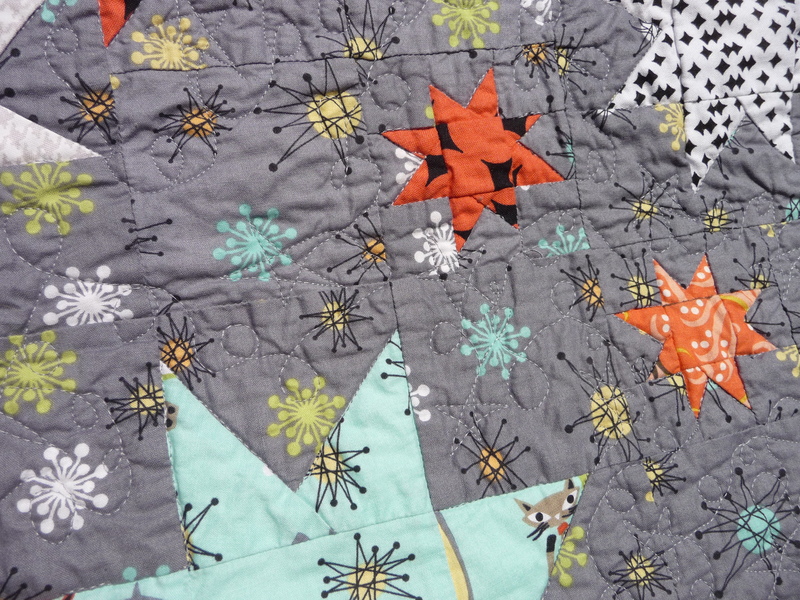 The block is one small, one medium and one big wonky star. I took the block, duplicated it, imported the fabrics I wanted to use, twisted around the blocks until they had an appealing design and colored in the fabrics. It was fun. Then, of course, I had to make it. 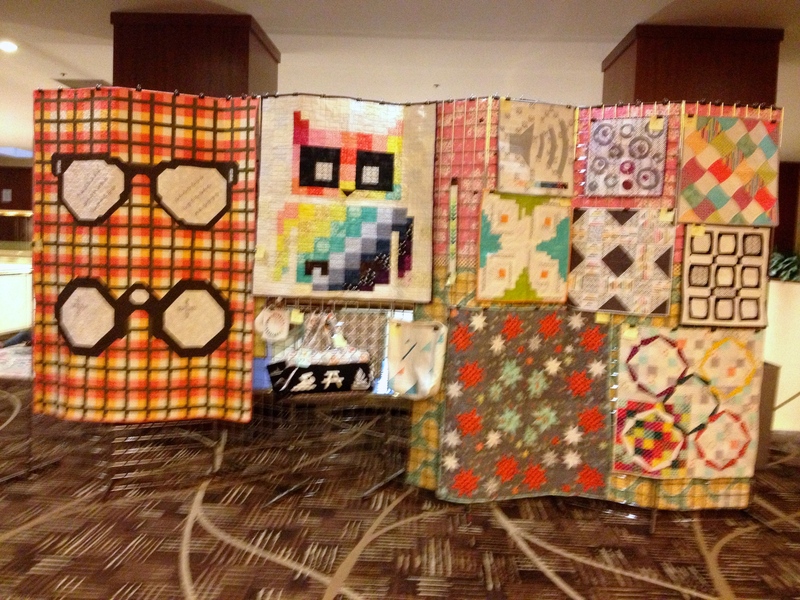 Below would be the quilty goodness, although painful. Amazingly, I was able to get it completed in the 1.5 – 2 months allotted. 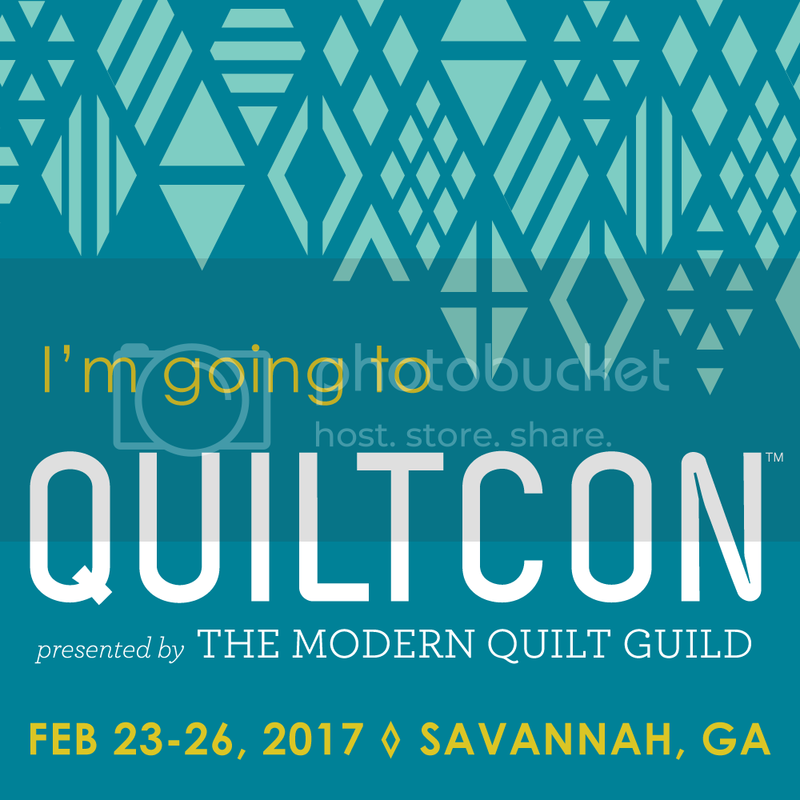 Very fast for me considering my last quilt took about 6 months. 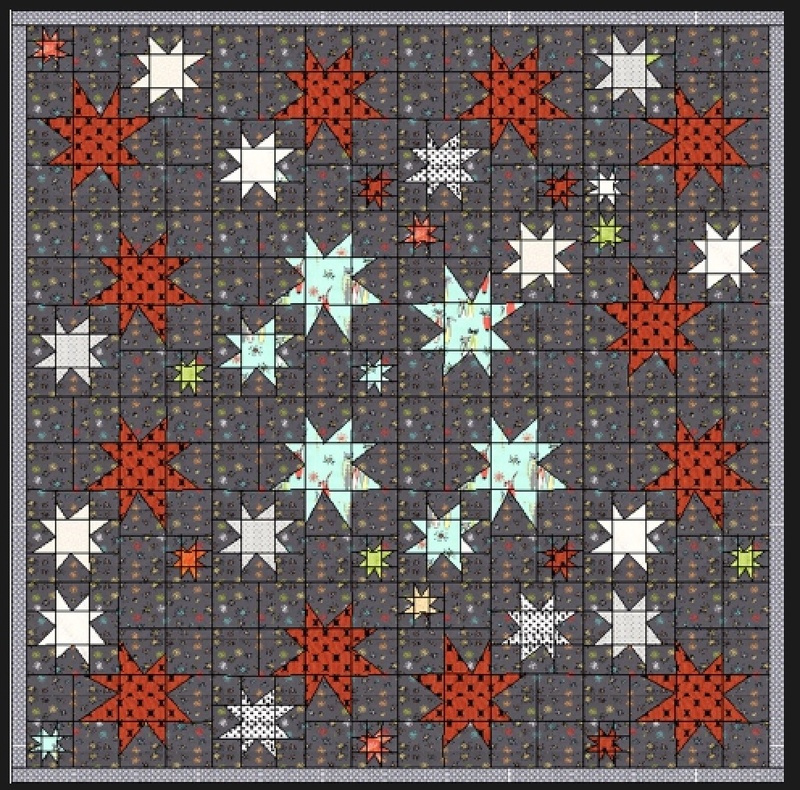 I tried to quilt with care note to take away from the design so I used matching grey thread and did a loopy star design as well as stitching around every single star. Unfortunately I think I quilted too densely as you really couldn’t see the quilting too well once it was washed and got all shrinky. I really love the middle with my mod cats peering out. notice they are all facing forward, remember these are wonky stars…that was a bear…ripping was done, large sighs were heard. 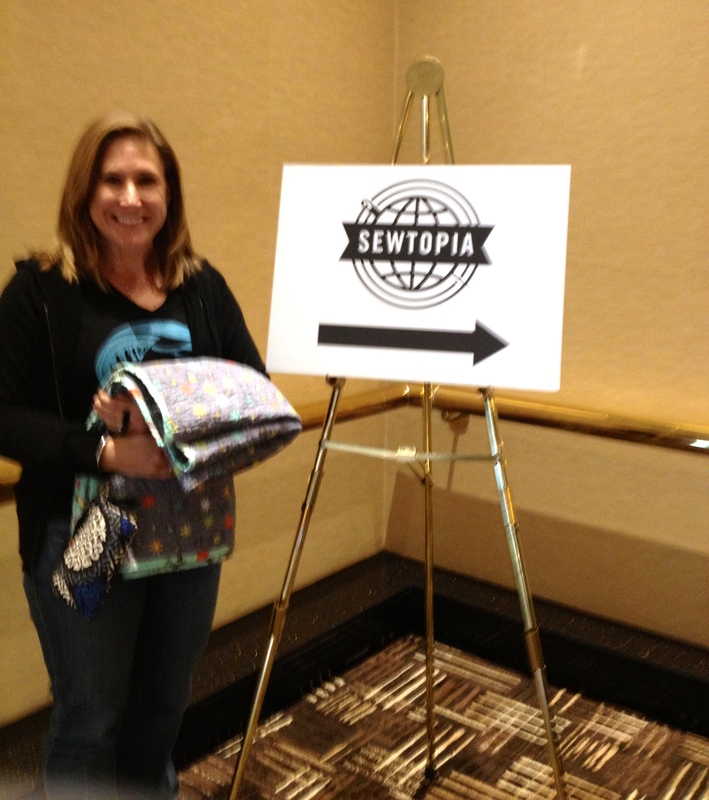 When we got to Sewtopia mom wanted to take it on a test run before I turned it in for judging. Yes, there was judging. No, when I embarked on this journey I did not know there would be judging. 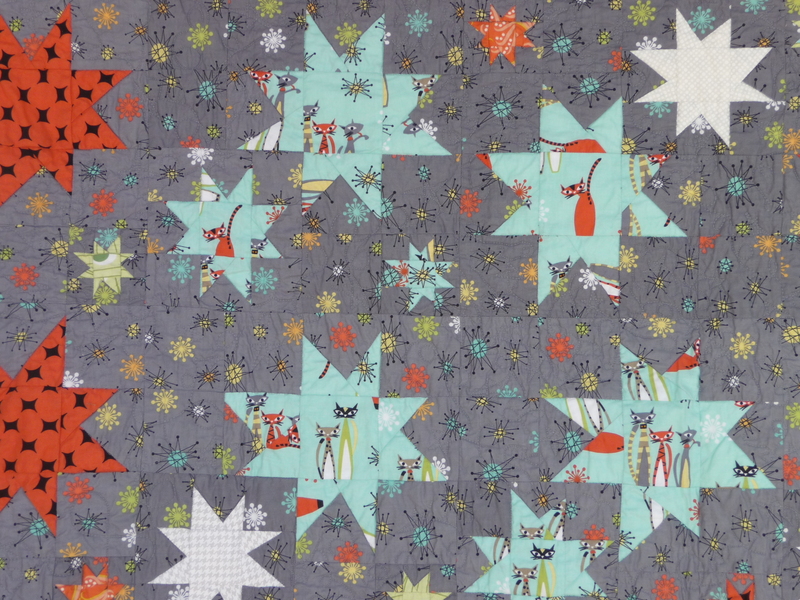 To me, judging implied that there would be losers and that made me sad but I really like my Celestial Cat Nap quilt so I thought, hey, maybe there is a chance it will be received favorably. Here I am fuzzily taking Celestial Cat Nap to the registration table (no we had not started drinking yet, it’s just time for a new phone). And there she is …fuzzily once again, my apologies…on one side of the two sided judging wall. How did I fair? I’m sad to inform that I got no judging love. No mention, no prize, no participatory fat quarter…nada. I was surprisingly disappointed, I didn’t realize that I would be so deflated. 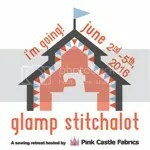 I may not enter one of these things again, I think I might not be cut out for the competitive aspect. The good news is some people did tell me that mine was their favorite and that was nice. My sweet mother felt so bad for me she gave me the jelly roll she won in a drawing (that was a very cool Sewtopia treat, everyone’s name got pulled eventually for a drawing prize…mine was almost last to be called but that’s just the way my luck went that weekend, and I still got something nice so it’s okay). 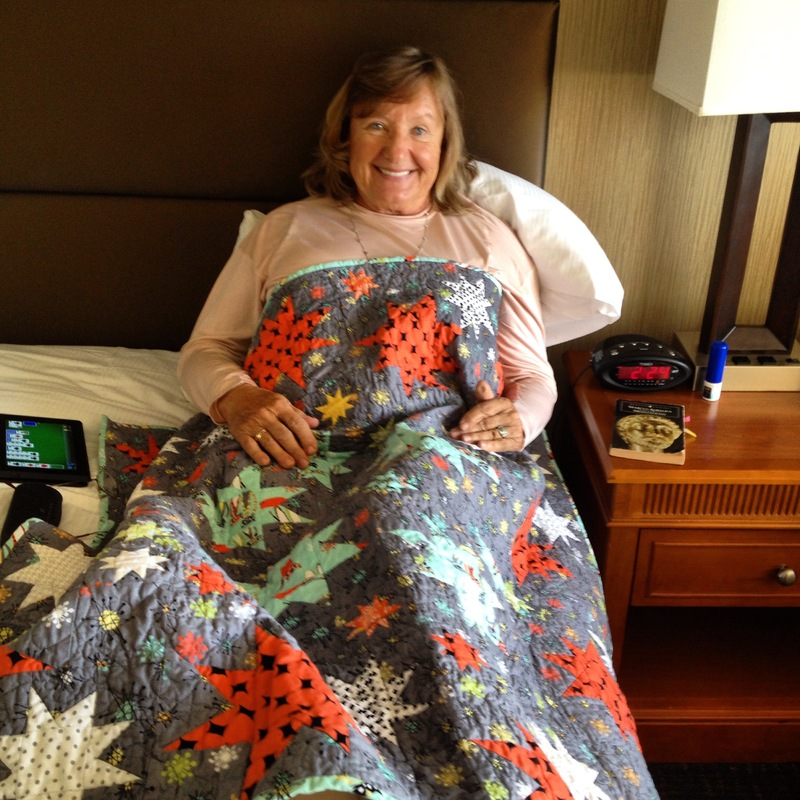 I told mom that we would make a quilt together with the jelly roll because I really didn’t want to take it from her and she wouldn’t take it back. The good news is, after I show it off at my next guild meeting next month, it will go to a very good home. One of my book club members recently had a baby and I’m going to send it to her. She has no idea it’s coming. Hopefully the family will like it. In the meantime I have many sweet memories and new friends from Sewtopia (perhaps a post about that is in order) and I’ve made a few more things I’ll share soon. 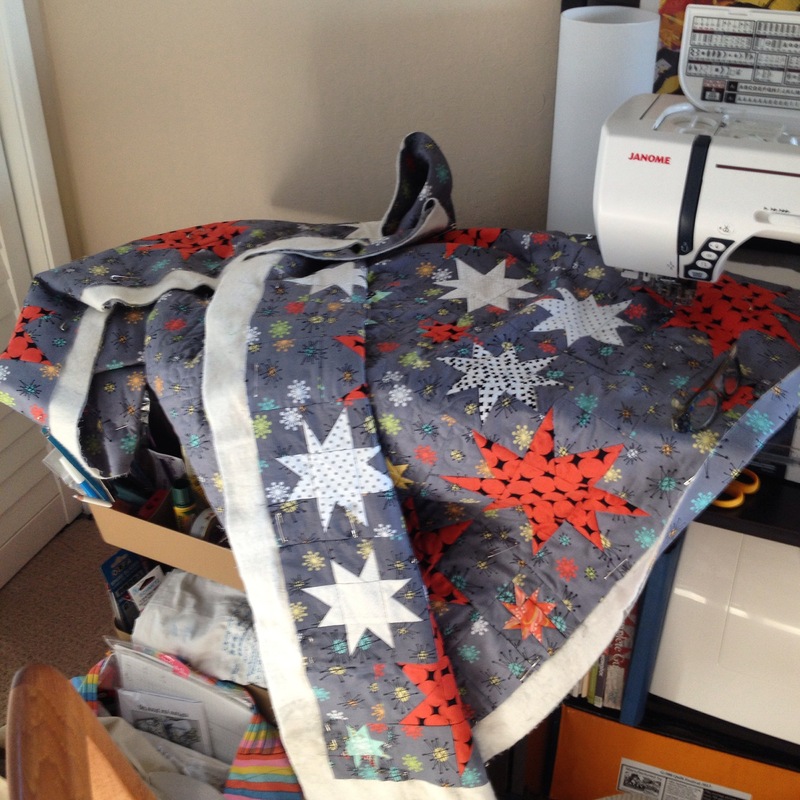 This entry was posted in Fabric Challenge, Finished!, Sewtopia and tagged Fabric Challenge, Finished Quilts, Sewtopia. Bookmark the permalink.